Preparing our hair and experimenting with styles is no longer a shameful act in this day in age. Rather, it is a sacred one, and Solange’s latest album cover totally embodies the tradition. 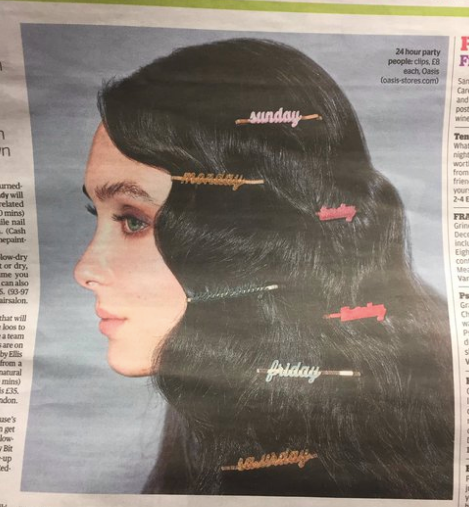 That said, a recent London newspaper ad featuring a white woman wearing duckbill clips is gaining negative spotlight on social media for being highly offensive and racially insensitive to the black community. Is it a matter of artistic appreciation, or something else? Read the rest of this article here and give me your thoughts on the subject. Next my scraps: dispose of these, responsibly and properly.